In this game UFO\'s will appear and kidnap the citizens. 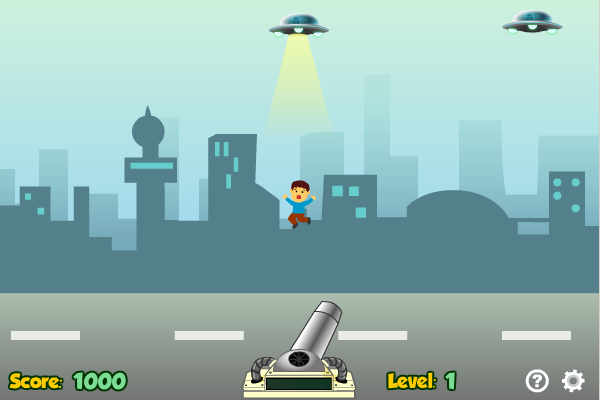 You can use the mouse to control a cannon and click to shoot the UFO\'s. Sometimes a UFO\'s will carry items, you can shoot it to get the item to help you protect the citizens. If a UFO catches a citizen and leaves the screen, then you lose. As the game progresses the UFO\'s will move faster and the game will be more difficult.